Another early start to another promising day, today was going to be Day 3 of my journey in Destination: Nation of Why Not. I was dressed down, sunblocked up and ready to go. Phuket, here I come! We walked off the Legend of the Seas ship the way we had the day before, easy and breezy. 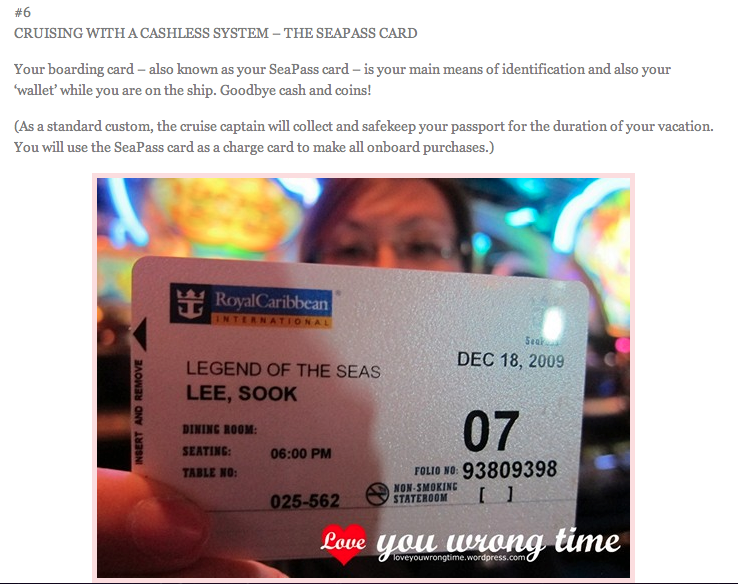 I had my Royal Caribbean SeaPass card* that I have to keep on myself at all times, along with my beach essentials for what (I pray) would be a fair-weathered day. A smaller transfer boat was waiting, ferrying people from the big and sturdy mothership toward the sandy Patong beach. I was looking forward to the wind in my face and sand in my hair. I was exhilarated – what to expect of James Bond island? 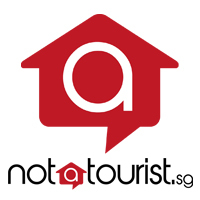 What to expect of Phuket? Almost everyone I know loves the sun, sand, sea, travelling, and has been to Phuket. In case you have not, Phuket is generally a pretty beach town with rough edges, sanded around its edges. When I think of Phuket, I think of an idyllic vacation island filled with incredible shopping bargains, rowdy bars, backpacker holes, decent restaurants, dust from the exhaust of multiple motorcycles, and boutique hotels with infinity pools that reflect the sky like scattered mirrors. 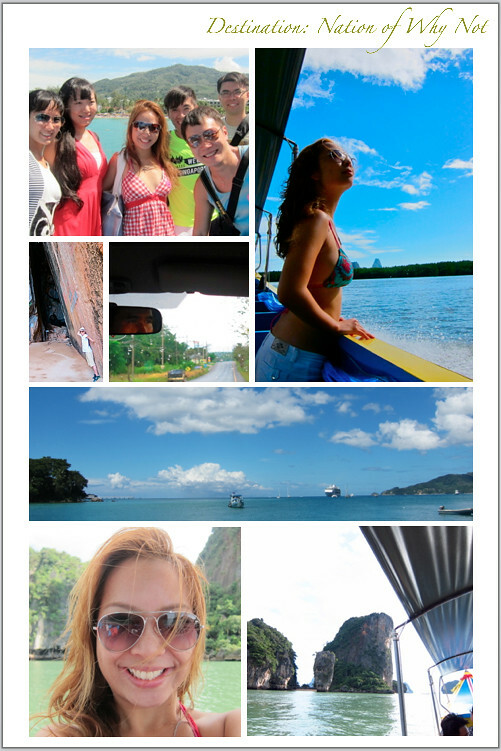 We disembarked from our ferry boat, and rode on multiple transfers from land and then to sea. 2 hours of roadtrip chit-chat and stunning scenery had gone by like a seaside summer breeze. I climbed out of the boat hastily, expecting nothing short of shimmering vistas and extravagant villas. Only to be greeted by this. 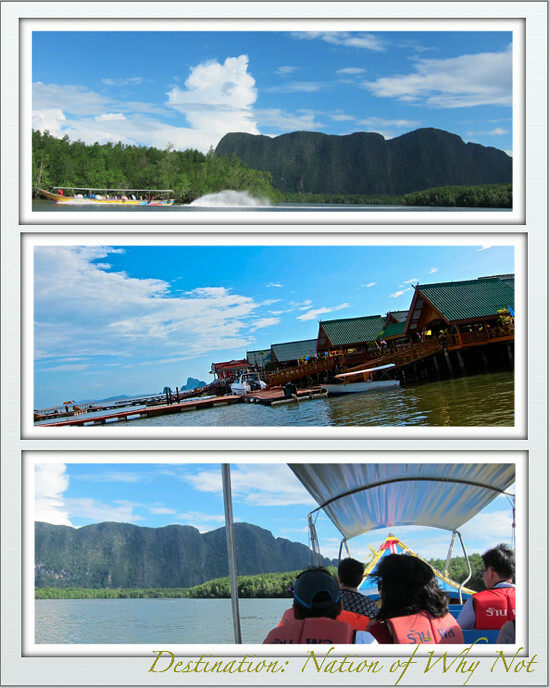 We were at a place called Koh Pan Yee (also known as Ko Pan Yee or Koh Panyi), a water village built on stakes over the sea, framed by dramatic scenery against Phang Nga National Park’s jagged limestone stacks. Raw beauty was sunbathing in one of its sunniest and finest moments. We walked through this floating wooden home which housed 2000-odd Muslim fisher-folk, along with some snack shops and its own school. This is the highlight of my trip, and this is also where I found those small school shoes. 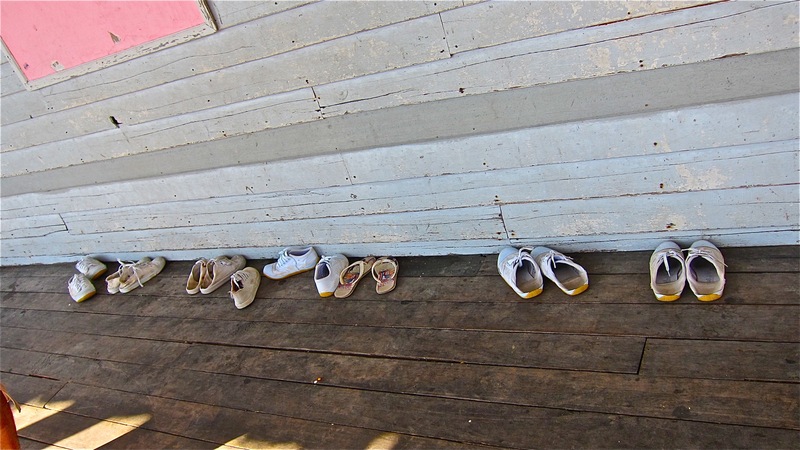 This was a school, a real school, complete with 200 students, teachers, a sea-facing courtyard, and dancing lessons. Something poked at my heart, and I bent down to try and have a basic conversation with one of the local students. Her name was Nakthorn, and I think she was 7. She smiled sheepishly and replied in Thai. My next sentence I sort of blurted out in English, not considering for once that in this part of Asia, it was a language not everyone had a luxury to learn or speak. She held up a number of fingers and ran off. I’m sure my Thai was basic but it can’t be that bad?! We didn’t want to overstay our welcome or impose on the locals and their lifestyle, so we left after a little while. I noticed a few shops touting touristy trinkets and beach dresses, as well as an al fresco restaurant (note: this is not as posh as it probably sounds) – likely from whenever commercialization had started to set in. 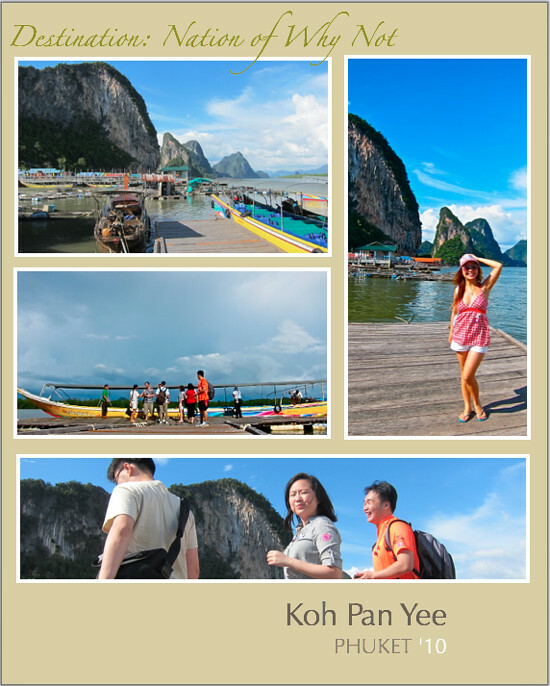 You will read in some tourist brochures that Koh Panyi is a floating sea-gypsy village – although the village is not actually ‘floating’ and I definitely did not see any gypsies! The inhabitants are no longer living a nomadic life, but have settled permanently in their far-flung home with their own unique way of civilization. 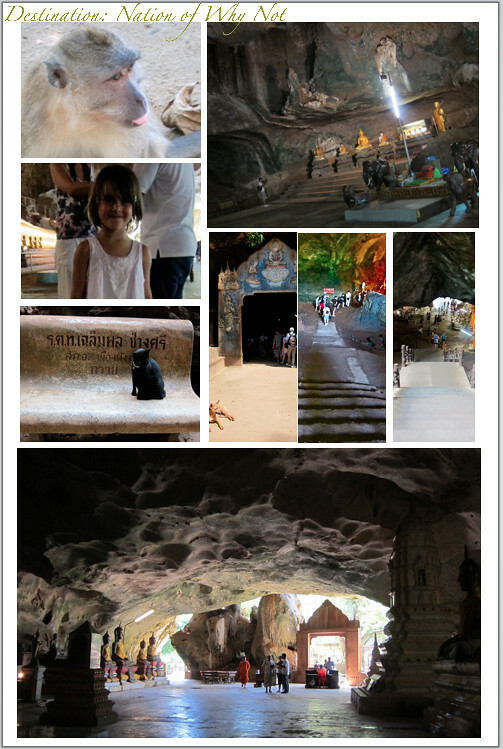 We also visited Suwan Khuha Temple, a cave temple with standing, sitting or reclining Buddha statues. Of course we got to our final destination, Hollywood hotspot James Bond Island… This is where they filmed the last scenes of ‘The Man with the Golden Gun’. 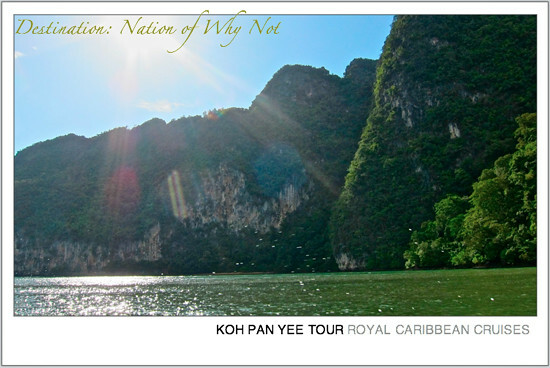 Next time you visit Thailand, do ask your tour operator to customize something special for you. I strongly suggest visiting the road less travelled… or in my case, a diversion from a frequently travelled one. 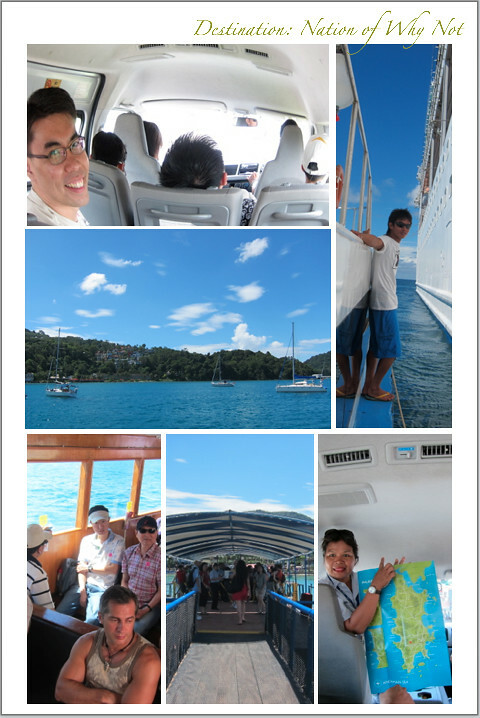 Thank you Royal Caribbean for the Phuket photo opportunity. 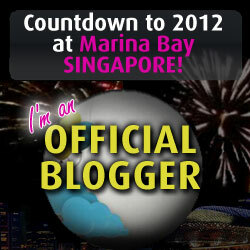 If you like what you read please help to vote for me HERE. This entry was posted in Advertorials/Advertisements, Events / VIP, Media/Magazines/Ex-Model stuff, My weekends, Places to go in Singapore, Travel, Work / Play and tagged 4 nights isles of southeast asia cruise, adventure, anchors aweigh lounge, calvin timo, camemberu, captain's night, cave temple phuket, cherie lee, christine ng, cruise, cruise activities, darren ng, estelle kiora, james bond island, keropok man, koh pan yee, koh pan yee school, legend of the seas, mui yee, omy singapore, phuket, phuket cruise, phuket tour, royal caribbean, royal caribbean cruise activities, shopping, singapore, singapore cruise, singapore girl, suwan khuha temple, travel diary, travel journal, travelfolio, travelogue, video diary, video diary girl, yiliang. Bookmark the permalink. 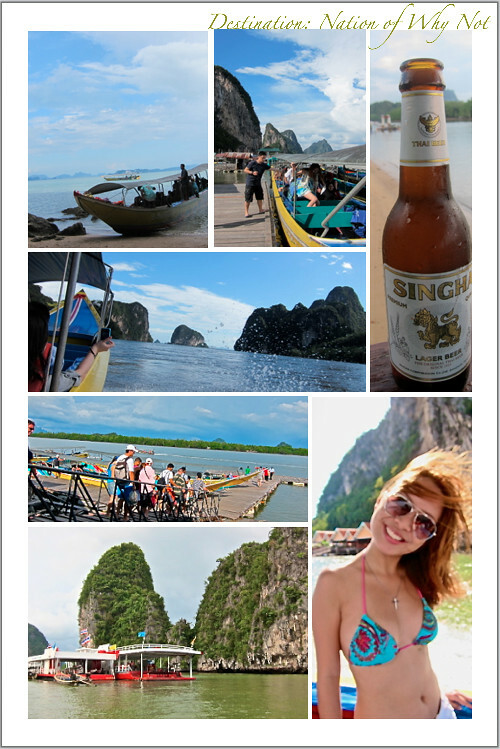 Thanks for sharing your Phuket experience, this post was very helpful… Keep posting and good luck with your blog! Nice Article, we are planning to visit Phuket in mid-Oct and would like to do some diving and snorkeling in the area. Hello! 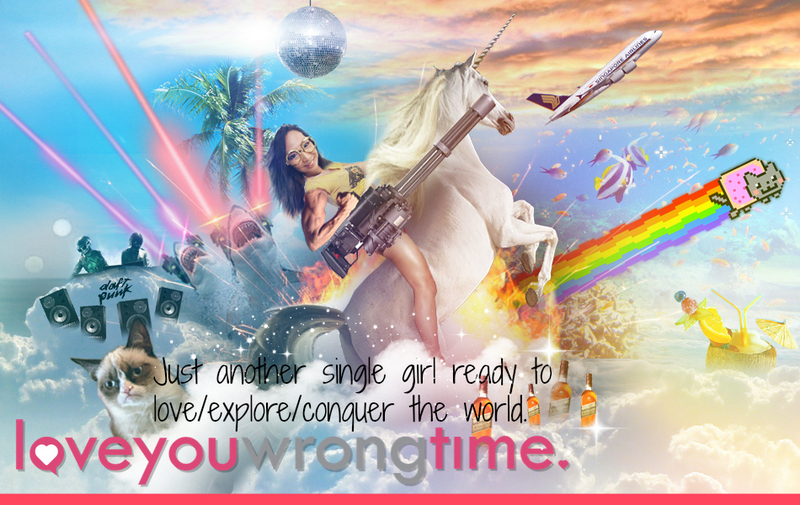 I simply wish to give a huge thumbs up for the nice info you’ve gotten right here on this post.